Malcolm Turnbull has been notably camera-shy since his ousting two months ago. Now you’ll have the chance to ask him anything you want. MALCOLM Turnbull has been notably camera-shy since his public ousting from the top job back in August. But that's all about to change. The former Liberal Party leader will be making his first major media appearance since his last address as outgoing Prime Minister more than two months ago. 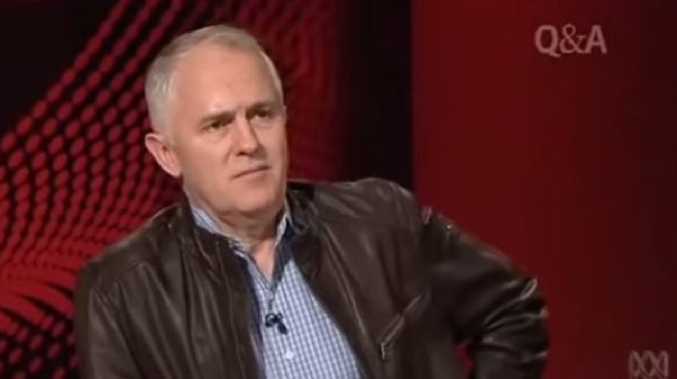 Mr Turnbull is set to appear on ABC's Q&A live on Thursday, November 8 at 8pm AEDT, where he is expecting to answer questions put to him by the public on everything from politics and parties to - one can only assume - the dramatic events that saw him toppled from the top job. It's unconfirmed whether his leather jacket will also make an appearance for the occasion. 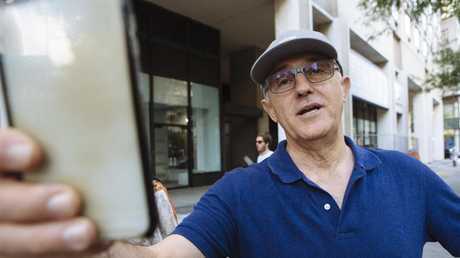 Mr Turnbull has shied away from major media requests since his ousting, taking a trip to New York City with his wife Lucy almost immediately after the leadership spill unfolded, where he owns a luxury Manhattan apartment. When approached by news.com.au outside their apartment early last month, they became agitated, saying they were "just here privately on a break". "We've been harassed by paparazzi this morning," Mrs Turnbull said, referring to photographers taking pictures of them walking in Central Park and at the airport. A frustrated Mr Turnbull added, "Are you going to stalk us now?" and "Why don't you leave us alone?" as the pair departed on foot, before he filmed a photographer on his phone. Former Australian PM Malcolm Turnbull lashed out at reporters who approached him in New York last month. It's understood Mr Turnbull was keen to avoid the media spotlight to give his successor, Prime Minister Scott Morrison, clear air. Since then, he has made brief appearances in the public eye. 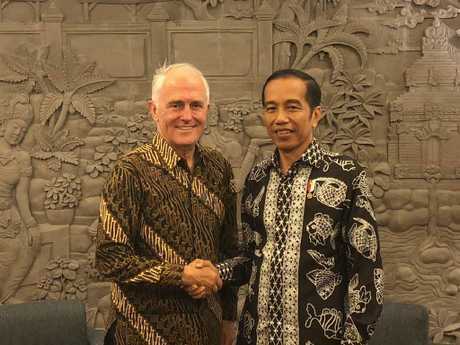 Earlier this week, Mr Turnbull met with President Joko Widodo in Bali - a long-time friend of his - as part of an Australian delegation attending a global conference. "There is no question, were that move to occur, it would be met with a very negative reaction in Indonesia. This is, after all, the largest Muslim-majority country in the world," Mr Turnbull told reporters. Earlier this week, Mr Turnbull met with President Joko Widodo in Bali. Late last month, Mr Turnbull made headlines after describing former prime ministers Tony Abbott and Kevin Rudd as "miserable ghosts". Speaking to young leaders in New York, he slammed the government over the "crazy" Liberal leadership crisis that led to his ousting, saying he would not be a "trappist monk" now that he was out of parliament. "When you stop being prime minister, that's it," he said in a recording of his remarks obtained by Nine News. Mr Rudd issued a biting response on Twitter before inviting the former prime minister over for a cup of tea in New York. Meanwhile, Mr Turnbull's son Alex has been a lot more publicly vocal since his dad's ousting. The Singapore-based banker has taken to Twitter over the past couple of months, posting and retweeting about everything from energy policy to Peter Dutton's au pair visa saga. But his biggest "up yours" was when he weighed in on the Wentworth by-election, explaining in a damning social media video why voters shouldn't support the Liberals. 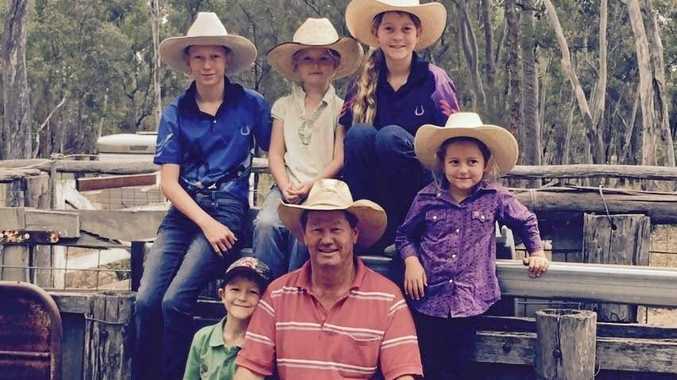 "We're going to have an election within 12 months anyway, so if you want to send a signal as to which way the Liberal Party is going, and your displeasure with where it's going, then this is your opportunity," the younger Mr Turnbull said. "Don't vote for the Liberal Party in the Wentworth by-election. If you want to pull the Liberal Party back from the brink it's the one clear signal you can send." Independent candidate Kerryn Phelps went on to claim the Wentworth by-election over Liberal candidate Dave Sharma, with a lead of over 1700 votes.